Breanna's Peekaboo Shorts, Capris & Pants. PDF sewing pattern for toddler girl sizes 2t - 12. These are a staple for any little girls wardrobe! Breanna's are a very fast/easy sew. You can do the simple version on each length or add the peekaboo ties to give the shorts a bit more style. Breanna's features 3 lengths (shorts, Capri's & Straight leg pants). They also have a flat front - so no baggy crotch! BUNDLE UP: Paisley's, Emilya's. 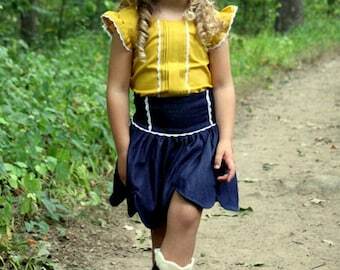 PDF sewing pattern for toddler girl sizes 2t - 12.
Pepper's Peekaboo Ruffle Skirt. PDF sewing pattern for toddler girl sizes 2t - 12. Rayann's Retro Dress & Top. PDF sewing pattern for toddler girl sizes 2t - 12. Emilya's Skinny Pants, Capris & Bermuda Shorts. PDF sewing pattern for toddler girl sizes 2t - 12. Chloe's Ruffle Leggings, Capris & Shorties. PDF sewing pattern for toddler girl sizes 2t - 12. Lillys Lapel Party Dress. PDF sewing pattern for toddler girl sizes 2t - 12. Bella's Dress & Maxi. PDF sewing pattern for toddler girl sizes 2t - 12. I had to combine three different patterns for my granddaughters' Easter dresses and I needed this little skater skirt. I got it quick--and the skirt worked perfectly! Ayda's V Back Peplum Top & Dress. PDF sewing pattern for toddler girl sizes 2t - 12. Soooo in love! Darling pattern, super easy to follow. Thank you!!! Brenda's Bow Back Top & Dress. PDF sewing pattern for toddler girl sizes 2t - 12. Mattie's Scallop hem suspender Skirt . PDF sewing pattern for toddler girl sizes 2t - 12. Saige's Boatneck Knit Dress. PDF sewing pattern for toddler girl sizes 2t - 12. Baby Ayda's V Back Peplum Top & Dress. PDF sewing pattern for toddler girl sizes NB-24 months. Cheyenne's Ultimate Ruffle Tshirt. PDF sewing pattern for toddler girl sizes 2t - 12. Daphne's Double Skirt . 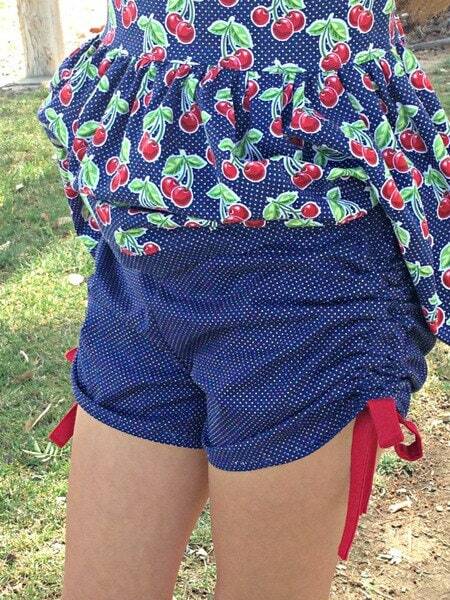 PDF sewing pattern for toddler girl sizes 2t - 12.